Water quality issues have been a problem for North Beach Water District in the past. 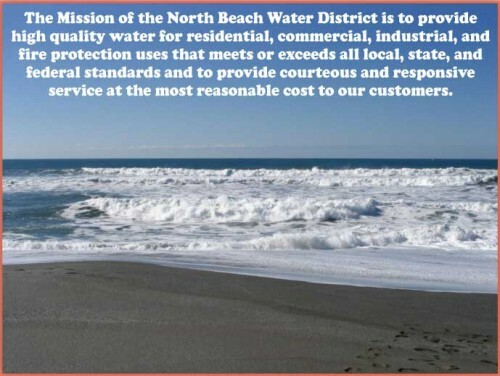 Recently North Beach Water District implemented a Unidirectional Flushing Program. Many other municipal water systems have improved their water quality issues be implementing a unidirectional flushing program. This program will clean the water mains for sediment from the mains regularly. Cleaning the water lines of sediment greatly improves the water quality you receive at your tap. The videos below will help you see how much sediment we are removing from the water lines.